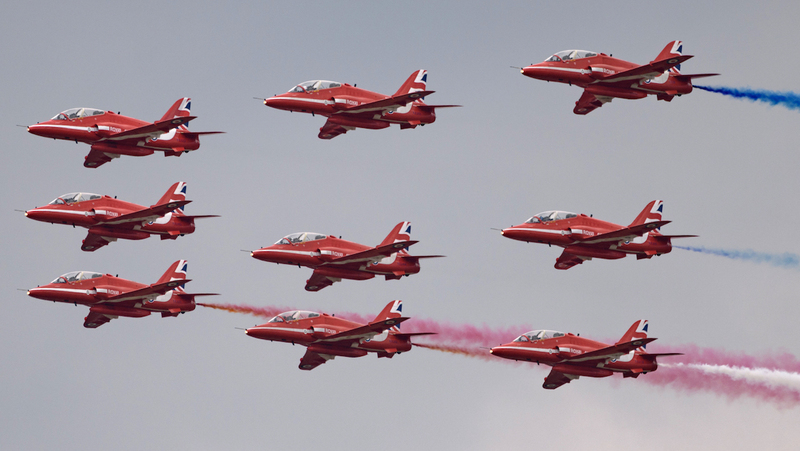 Reporter Dave Unwin’s Sunday at Farnborough ended on a high. Literally. 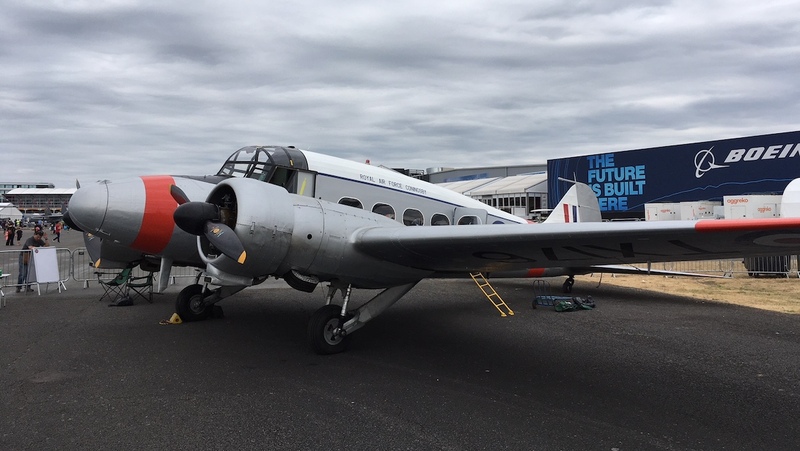 BAE Systems Heritage flight’s Avro Anson at Farnborough. 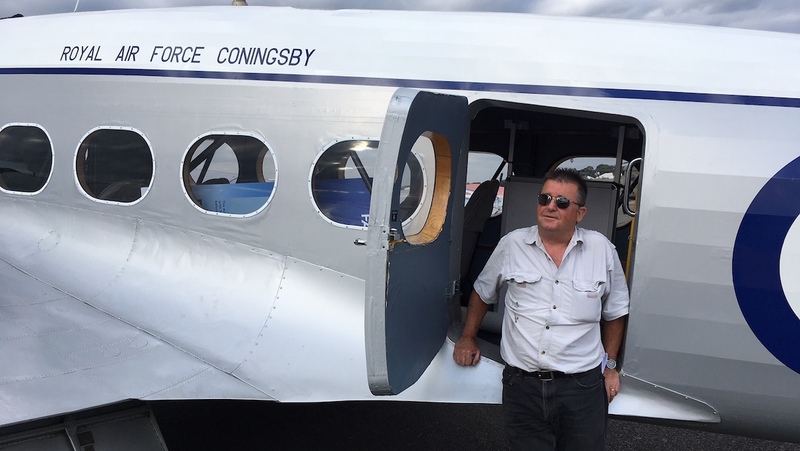 Having already done several days at Farnborough (and being a firm believer in the old saying that “you can have too much of a good thing”) about the only way you would’ve got me back would’ve been the opportunity to fly something interesting home. 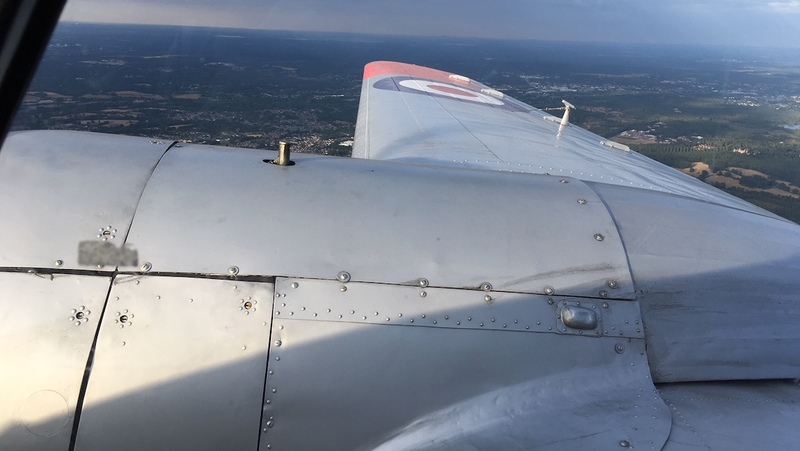 So, when an offer came in for me to fly as co-pilot on the BAE Systems Heritage flight’s Avro Anson and take it back to the famous Old Warden aerodrome on what promised to be a glorious summer’s evening, well I didn’t need asking twice. Of course, myself and BAE Systems test pilot Peter Kosogorin weren’t going anywhere until the show closed, so upon arrival I sat under the wing and watched the show go by. Your correspondent waiting to take off. This time there was considerably more flying. 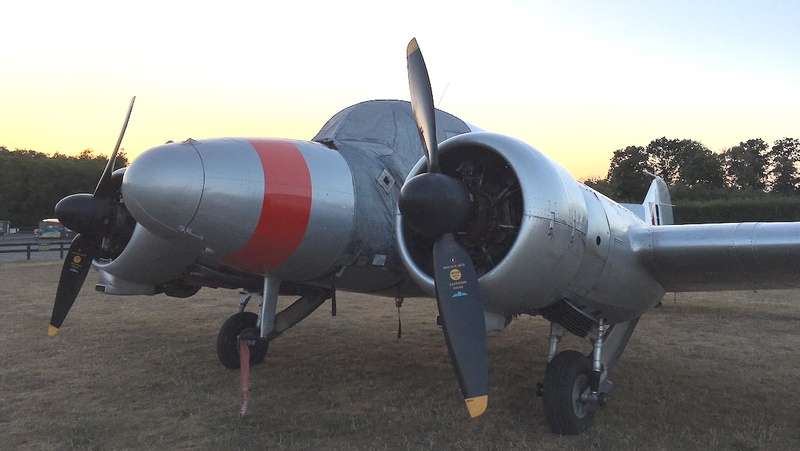 Along with the F-16, A350, 727 etcetera, the Douglas DC-6, North American B-25 Mitchell, Vought F-4U Corsair and Lockheed P-38 Lightning of Red Bull’s Flying Bulls fleet put on a spirited display, although the aerobatics antics of the Bo-105 helicopter stole the show. Watching the Flying Bulls unique Sycamore helicopter fly was a first for me, while a fine display by a Sea Fury and the pairing of the Blenheim and Spitfire was enjoyed by many. The BBMF’s Hurricane, Spitfire and Lancaster performed a single flypast, as did the bright red Hawks of the Red Arrows. Bearing in mind that this is the centenary of the formation of the RAF, its contribution could best be described as “tepid”. Of course, the absolute highlight had to be Dave and Pete in the BAE Systems Heritage flight’s Avro Anson, and as we rumbled down the runway and up into the perfect blue of a glorious English summer evening it was time (once the wheels had retracted and the throttles and props been set) to reflect on Farnborough 2018. It had been far from a classic year but – for your correspondent at least – it had certainly ended on a high! 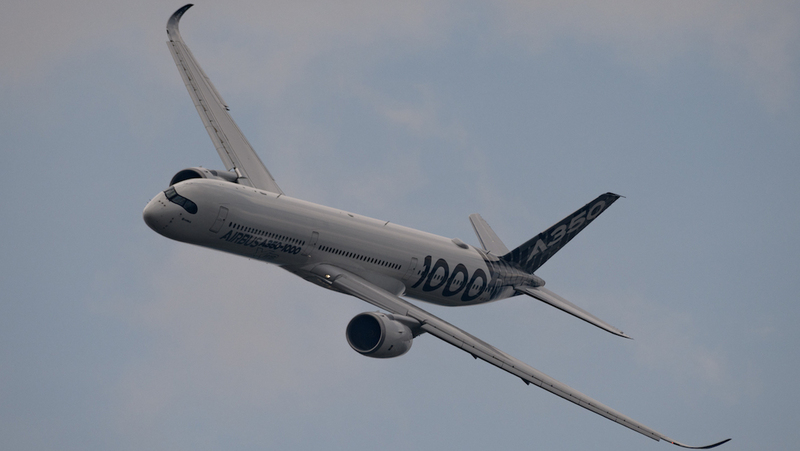 I went to Day 1 of the trade show, and thought the displays were fairly good, as were the halls, but going by the chat on the Farnborough Airshow online forum, the public days flying displays were very lack lustre. Many disappointed spectators, especially with the Red Arrows not displaying,only flying past, especially given the RAF100 celebrations. The restrictions after Shoreham sound like they will severely damage British airshows unless a more common sense approach returns.